Our passion is to awaken you to become who you were created to be. 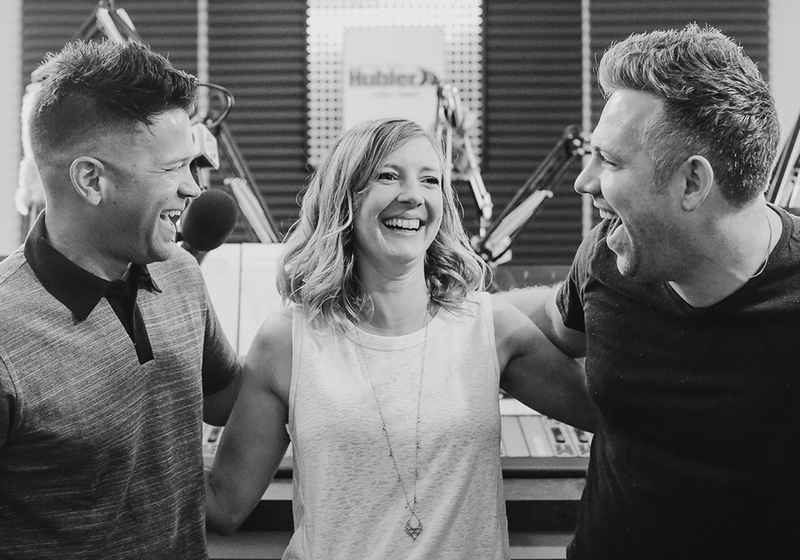 Radio Theology is central Indiana’s weekly dose of faith, hope, love and music hosted by Pastor Daron Earlewine, Lisa Graft, and Ryan Ahlwardt. 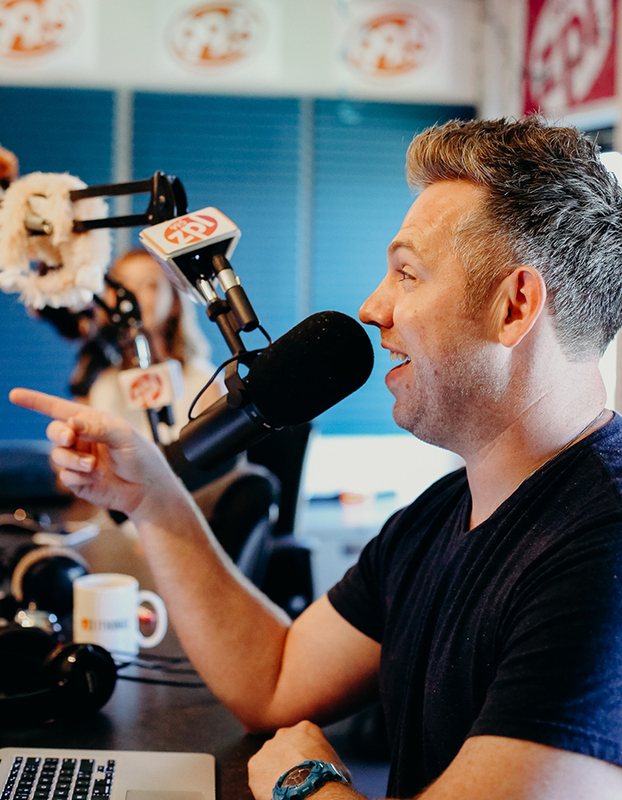 We deliver grace-filled and comedy-laced stories and inspiration to central Indiana every Sunday morning on 99.5 WZPL – Indianapolis’s Number 1 Pop Station. 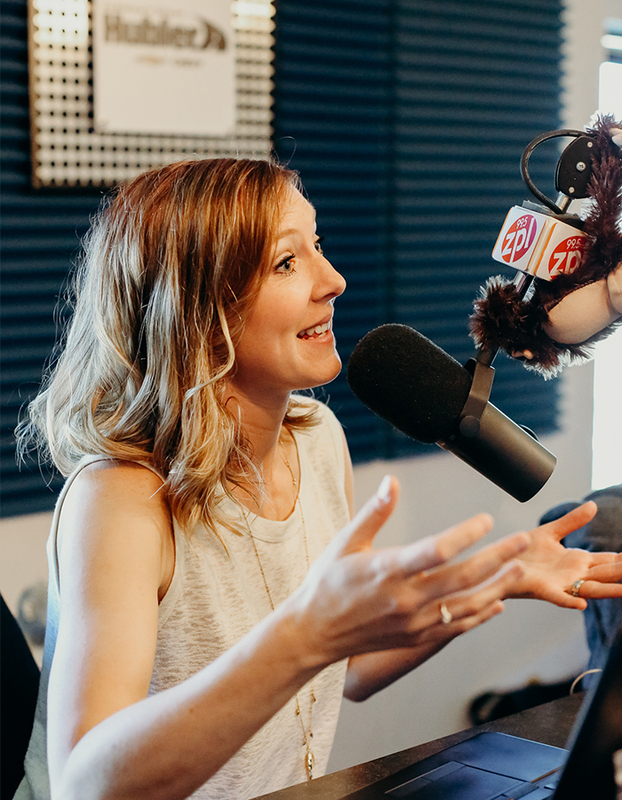 Whether we are chatting about our parenting struggles (both serious and hilarious), or sharing stories of pushing through fear to chase down our dreams, we know you’ll find something on Radio Theology that inspires you to take your next step to become who you were born to be so you can live with peace, discover your calling and create the future. You’ll also hear some real-life Jesus stuff, too. We’re honest about our faith and struggles because we know that in sharing our messes first, we are inviting you into a genuine community. Every week on Radio Theology, you’ll hear that God is near to you, not far from you; that He is for you, not against you; and that you were created on purpose and for a purpose. Meet the Radio Theology Team! Daron Earlewine is a spiritual entrepreneur who believes everyone deserves to be who they were born to be. He is the founder of Pub Theology and creator of Spiritual DNA, and is known as Pastor Daron to audiences from Bloomington to Bosnia and everywhere in between. Lisa Graft is a storytelling mama who wears her heart on her sleeve. Not only is she a radio host, she’s a writer and speaker, a cryer and runner. She’s passionate about inspiring moms into healthier relationships with themselves and others through vulnerable storytelling, self-care, and lots and lots of grace. Lisa is the Founder of the mama movement, I Am Mother of the Year, where she’s building a tribe of moms who are encouraged, celebrated, and committed to helping other moms feel the same way. Giving her inspiration and plenty of real-life and ridiculous stories to tell are her husband Ryan, and kids, Josie and Cal. Ryan Ahlwardt is a singer-songwriter, voiceover artist, and alumnus of the world-renowned a cappella group Straight No Chaser. His voice is featured on two gold records that have sold over a million copies worldwide, SNC’s Holiday Spirits (2008) and Christmas Cheers (2009). Ryan has sung on The Tonight Show starring Jimmy Fallon, The Today Show, Macy’s Thanksgiving Day Parade, and two PBS specials. 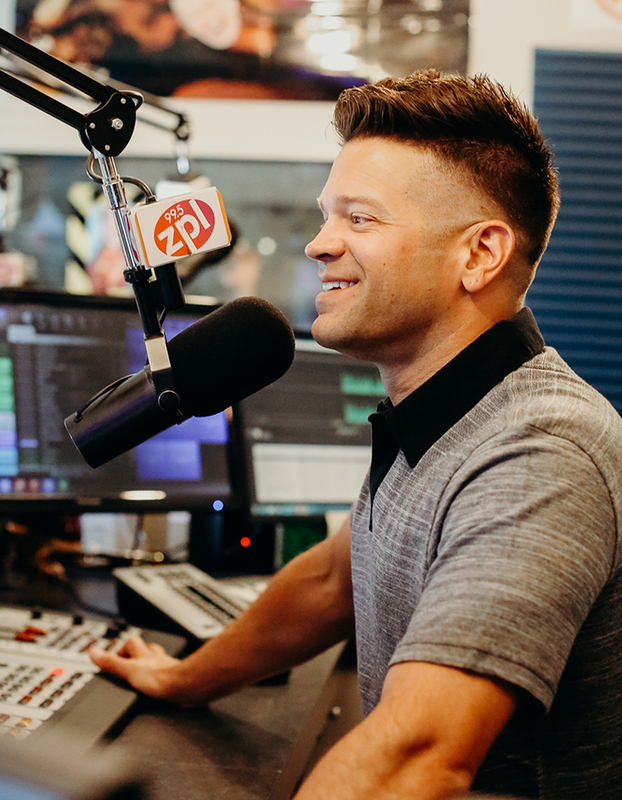 He has worked with such artists as The Beach Boys, Barry Manilow, Sara Bareilles, and Take 6, to name a few. Ryan is the official voice of Thryv’s animated mascot and specializes in character, commercial, and corporate narration voiceover work. More important than all of this, however, Ryan is blessed to be Lauren’s husband and Olivia and Gus’ dad. Keep in touch with him at RyanSongs.com. Find out what's new with Radio Theology! Success! Now check your email to confirm your email.